i don’t know about everyone else but my fingers are only just recovering from friday’s gig and then monday’s 2hrsession of exciting playing! i really want to say a HUGE thank you to everyone who played on friday at the beer festival – i was so happy that so many of you turned up to play and just know that the audience thought we were brilliant. there were so many smily faces singing along! we had a lovely evening looking at songs for the up and coming events…. we looked at these christmas favourites…. keep playing and see you very soon! i don’t know about anyone else but i thought that was a pretty intense (but awesome as always!) 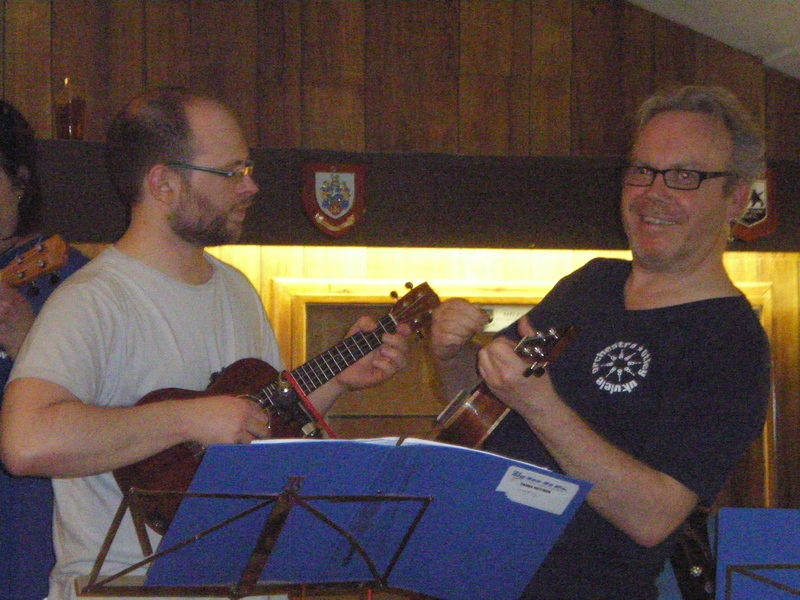 ukulele session this evening! we rattled through the songs and there was a lot to take in with the new chords, new songs and then in the second session, preparing for the gig on friday! we spent some time tonight in the first session looking at a couple of newies…..
BLUE CHRISTMAS – first christmas song of the season! in the second session we concentrated on the songs for friday. we are really excited about playing at the otley beer festival – hopefully there will be some samples left for us when we have finished 😀 ! check out the SET LIST FOR FRIDAY 16th NOVEMBER and download/email me if you need any info or print outs etc. we will be meeting and having a run through some of the songs at the woolpack 6pm-6.45pm (if you can make it) then walking to the rugby club for 7pm. on stage between 8pm and 8.30pm and we will play about an hour. please make sure you are at the rugby club for 8pm AT THE LATEST. if you have your OUO t-shirt then please wear that if not then something blue/white on the top half would be cool. final thought for the day…… F#dim! my new favourite chord! 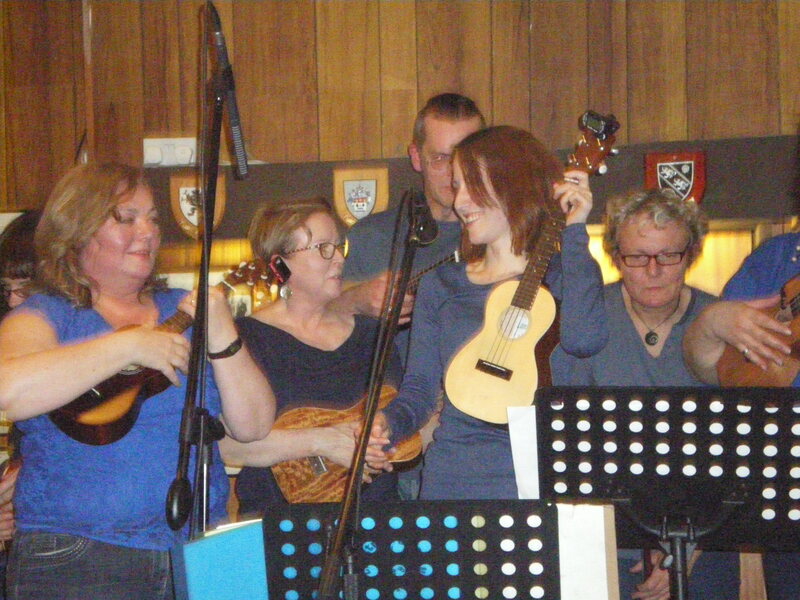 elvis, sparklers, cake and abba – a typical night with the otley ukulele orchestra! i have to admit that i expected a quieter than normal session last night….but as it turns out it wasn’t just me who would rather play the ukulele in the warm than stand in the cold and coo at fireworks. that said – i at least wanted a sparkler so we marked the half way point in the forecourt at the woolpack with sparklers for all! it was fun and no one burnt any fingers so we could crack on with some playing for the last hour! HOUND DOG – elvis presley. everyone attempted the riff too and it sounded so cool!! so the next event for us to think about is the OTLEY BEER FESTIVAL on FRIDAY 16th NOVEMBER. time to be confirmed (hopefully by next week). i will put a set list together so we can run it next monday. 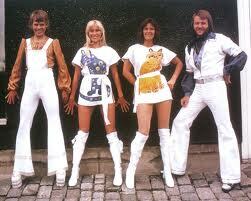 PS – picture of abba for you….note white jumpsuits/ thigh high boots….this will be your stage outfit at the otley beer festival. we set the trends round here!